Rhodes Transport has loaded and transported many types of tractors, loaders, excavators, back hoes and is confident we can meet your needs. Whether its heavy concrete barriers or bulky ABS culvert, we can accommodate your needs and get it there on time. 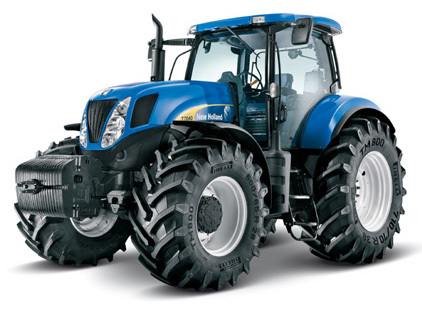 Whether its a brand new tractor that needs to be picked up and delivered or some machinery that needs to get from here to there, we can get the job done. We transport many types of lifts, boom and scissor as well as small tractors, Bob Cats, back hoes and skip loaders. You name it, we can load it and get it there on time. Just need a truck to transport a trailer? 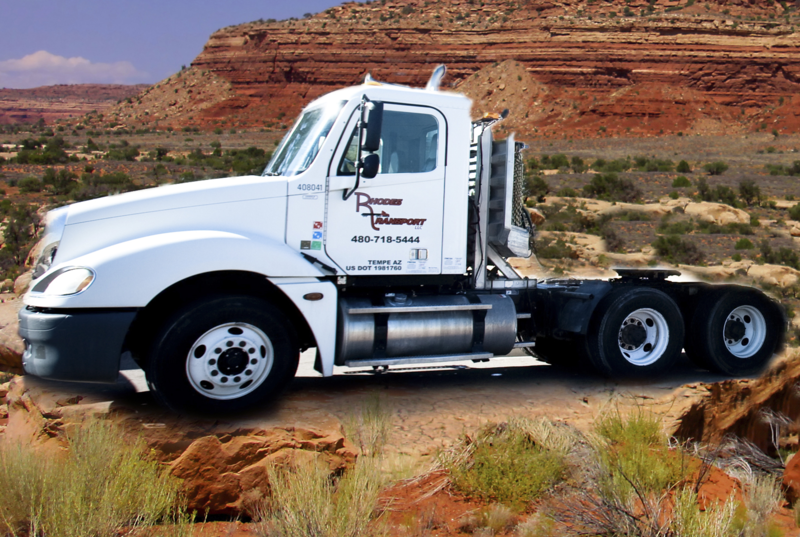 We use our truck to haul your enclosed trailer, flat bed or shipping container to the destination you specify. We specialize in safe and efficient transport of heavy equipment like loaders, tractors, back hoes, excavators, bull dozers, steam rollers and agricultural machinery. 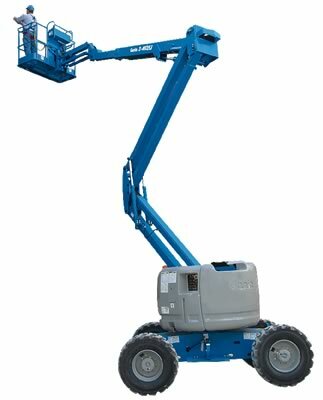 Let Rhodes Transport pick up and deliver your next scissor lift, boom lift, back hoe or skip loader, we will get it there on time at a very competitive price. If its big, heavy and needs to be transported we can take care of it for you. Whether its concrete pipe, culvert or some concrete barriers, we can meet your transportation needs. Give us a call or submit a request for a quote online.